Free ALLConverter to 3GP/GSM Phone 1.2 - Download Win Apps. 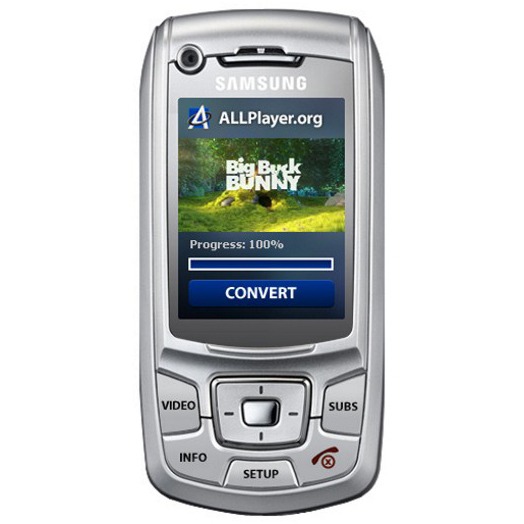 Free Video Converter to 3GP/GSM for mobile phones. ALL Converter to 3GP/GSM Phone allows you to convert videos in DivX, as well as those downloaded from youtube to a format that will be played on all popular mobile phones. ALL Converter to 3GP/GSM is another in a series of converters that promote easy and intuitive handling. As in the previous converters, so in this case the user has the option to add external subtitles to be displayed in the window with the film.